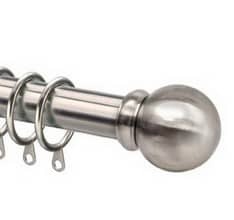 Please see our 'everything you need to know about tracks and poles' section for advice on these products. 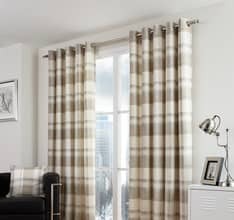 Here is our guide to hanging pencil pleat curtains, please see the index on the left for instructions on other types of curtains and Roman Blinds. So your eagerly awaited new curtains have arrived at last! But what if you’ve never hung a pair of curtains before?! Don’t panic: here is your indispensable guide to hanging your curtains like a professional! Firstly you need to unpack your curtains. They’re probably pretty creased from sitting inside the packaging. Some customers are happy to hang the curtains and let the crease drop out over time. Others like to give them a gentle press. 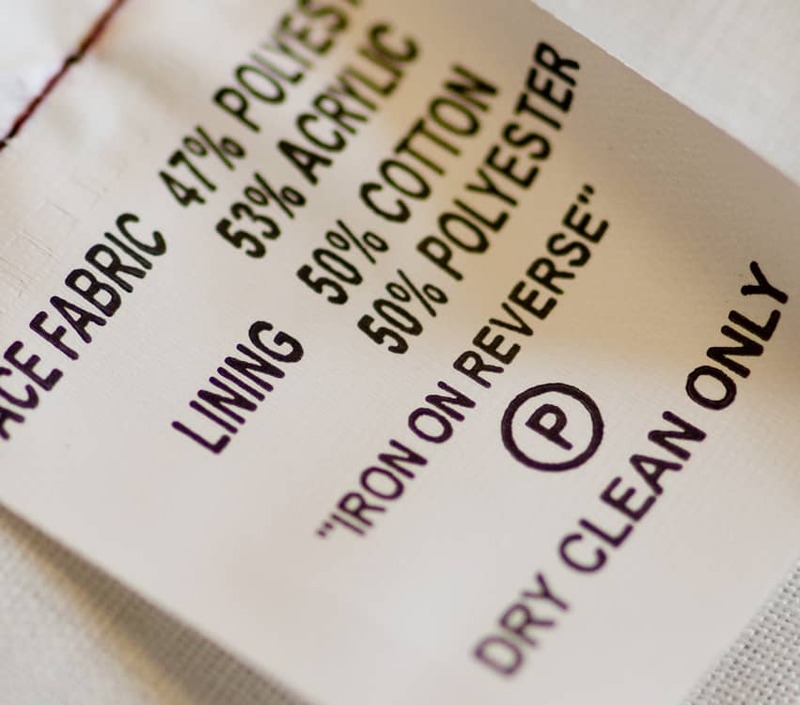 Either way works well but please read the pressing instructions on the label- some fabrics have special finishes (ie flocking or metallic details) that don’t respond well to the heat of an iron. 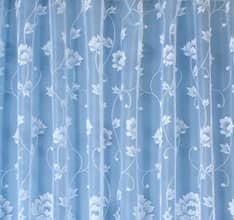 You’ll find a strip of curtain tape stitched across the top of your curtain. This heading tape will usually have three rows of string threaded through it. These strings have to be pulled in order to achieve the gathered look that you’re aiming for. But STOP! Before you go any further you need to tie a knot in one end of all of the strings or they might just come all the way through and out the other side. Sometimes the ends have been machine stitched down, but if you can, it’s always a good idea to tie them off on the outside edge of each curtain. Now you can pull up the strings! Take hold of all three and try to pull them evenly. You’re aiming for each curtain to be pulled up to the width of half of your track plus a centimeter or two for overlap. Once you’ve done this it’s a good idea to offer them up to the window to check that they are the right size, before tying off the strings. 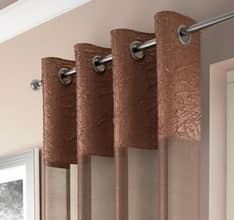 It’s also a good idea to use a slipknot for this end so that you can adjust them or undo them if you’re able to wash the curtains. 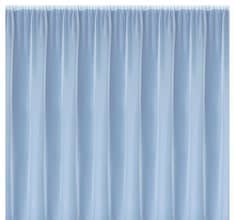 Then distribute the gathering evenly across the width of the curtain. 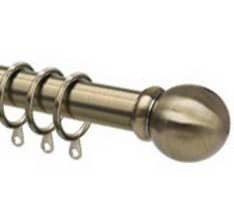 Now that the curtains are pulled up you need to put in the curtain hooks. In most pencil pleat heading tapes there are three rows of pockets to choose from. Which pocket you choose depends on how long or short you would like your curtains to be. 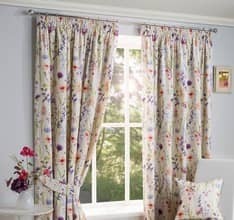 The benefit of having three options is that your curtains can be adjusted easily by 1 to 3 inches. Hooks should be placed in the heading tape every four pockets or so, depending on how many runners or hooks you have. Standard tracks don’t tend to be very generously supplied with runners or hooks so it’s always a good idea to buy an extra packet or two. Your curtains are now ready to be hung! Just remember to have a friend or relative to hold the ladder for you. 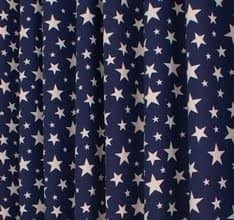 Make sure you support the full weight of the curtain to avoid those carefully distributed pleats from being pulled out of shape. 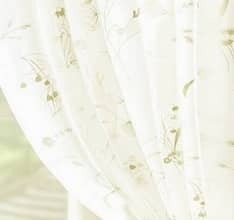 A professional fitter would then pleat the curtains into a concertina form by pushing the fabric gently back in between the curtain hooks. They would then tie the pleats in place loosely with some scrap strips of fabric and leave overnight. 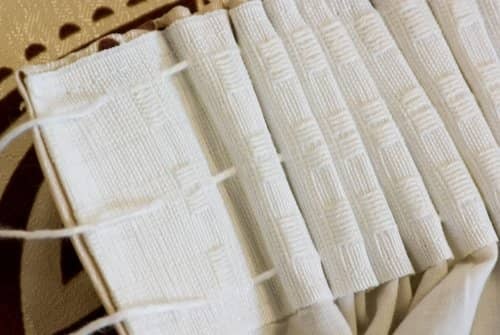 This step can be time-consuming but is worth it in the long run as your curtains will ‘remember’ this pleating and return to form each time they are opened. Sit back and admire your beautiful curtains! 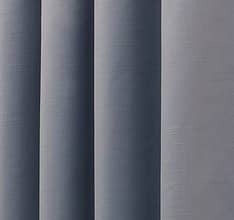 Here is a link to our pencil pleat headed ready-made curtains. 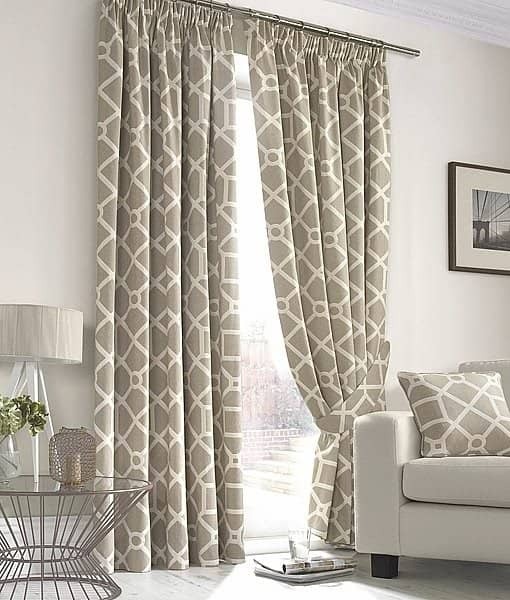 All of our made-to-measure curtains are available with a pencil pleat heading, click here to view the range.